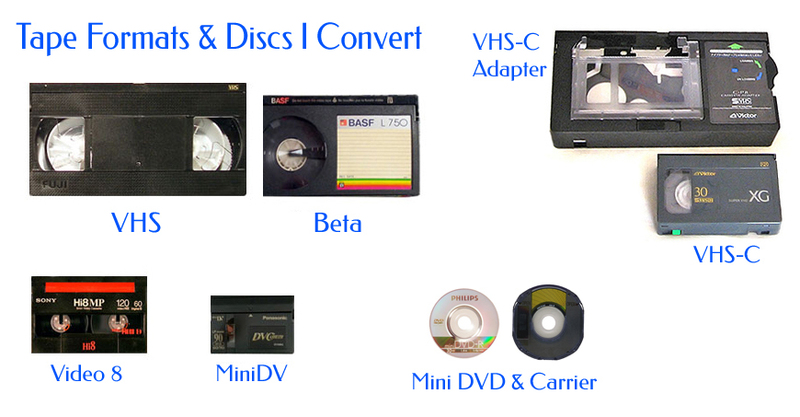 Betamax and VHS formats were developed by Sony and their engineers decided that Beta was the better format (as it had a wider tape) and they sold the rights to VHS to JVC - who then marketed it as their own. The one glaring problem was that Beta could barely fit one hour of video onto a tape yet the VHS format could easily squeeze 3 hours onto a tape. The rest is history - Beta died a quick death and VHS took off. In their efforts to make smaller camera's utilizing the VHS format, they designed a smaller tape (VHS-C) which fit inside an adapter that was the size and shape of a full VHS tape. 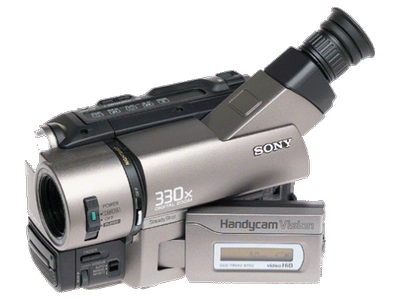 When my son was born in 1990 I bought my first video camera that took a full sized VHS tape. I looked like the CityPulse News-guy with the battery packs I had to lug around with that camera and it sat on my shoulder while I was taping. 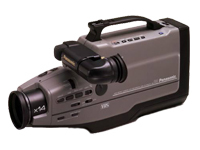 In a further attempt to make even smaller camera's, the 8mm camcorder tape format was introduced by Sony in 1985 - the first of three 8mm videotape formats. 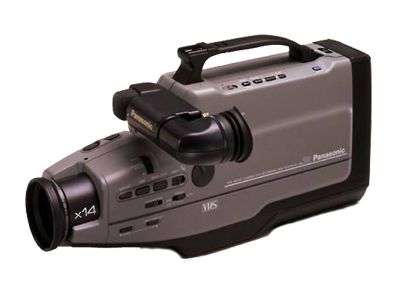 These were much smaller than the VHS & Beta cameras and became very popular in the consumer camcorder market. The only problem was that these camera's did 'double duty'... they not only recorded the video but the camera was also used as the playback device and this 'double duty' shortened the camera's life expectancy considerably. 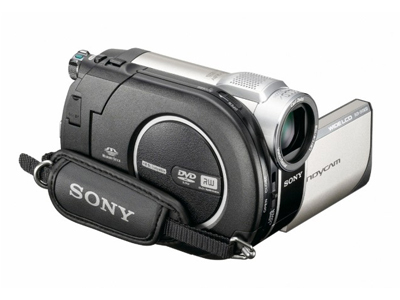 In 2007, Sony discontinued production of 8mm camcorders leaving millions of consumers with plenty of videotapes and nothing to watch them on once the camera's broke down. 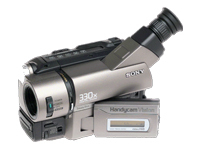 DV is a format for recording and playing back of digital video and was introduced by several companies in 1995. MiniDV tapes are the smallest of the video formats and they take and maintain crystal clear images because of the nature of a digital format. 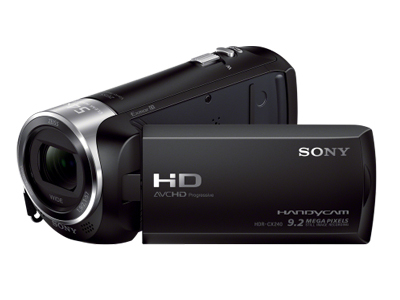 Again, these camera's pulled double duty and were also used as the only playback source that was affordable. 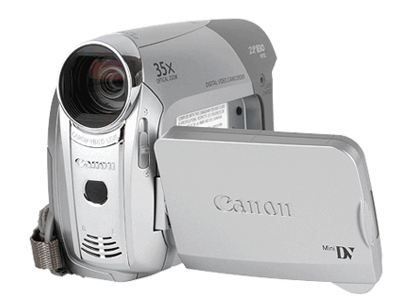 I bought my first MiniDV Canon camera for the family trip to Disney in 2004 and then another Canon MiniDV camera in 2008 when the first one broke down on me. So far, I have 38 miniDV tapes in my family collection. This particular format was just wrong. Mini DVD's have a diameter of 8 cm as compared to the standard DVD, at 12 cm. 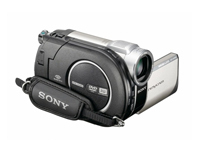 The smaller size of Mini DVD also leads to a smaller camera. These smaller discs have a storage capacity of 1.4 GB, while standard DVDs hold about 4.7 GB. This equates to only about 20 minutes of footage for a Mini DVD disc. I have many clients that have asked me to convert their smaller discs to standard sized DVD's as their smaller discs often stop working in desktop DVD players. These camera's have become a 'thing of the past' and you'll have a hard time finding one these days. Good-bye and good riddance I say! 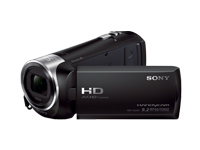 These cameras are much more convenient than conventional camcorders. There is no need to worry about running out of tape or space, or swapping out a small flash-based SD card in the middle of your daughter’s recital. 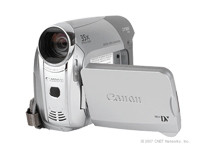 Thanks to a large capacity internal hard drive, these camcorders can record dozens of hours of high definition video and are typically smaller than their mini DV and HDV counterparts. I have a number of clients that either bring me their memory card or their entire camera. If you bring me your camera, I'll need all the cables that come with it as it needs to be connected to my computer so I can download the files and a lot of these HDD camera's have specialized/proprietry USB connectors.